Bussy Go!! 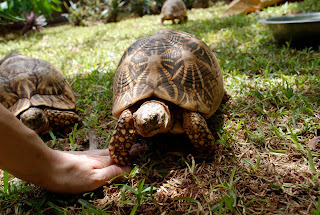 : Turtles, Tortoises and Lizards! 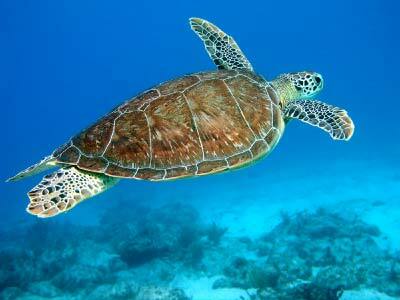 Sea Turtles enjoy the status of one of the world's most highly protected animals. They are protected under international treaties and by the laws of many nations. Such high protection comes because seven species of Sea Turtles are critically endangered species. Despite strict laws, the Sea Turtle continues to be illegally hunted and traded in many parts of the world. 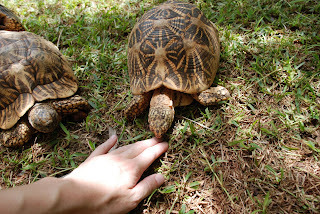 The VSPCA is involved with Sea Turtle protection and conservation off the East Coast of India and works to enforce India's laws which strictly prohibit the sale or trade of Sea Turtles and their eggs. 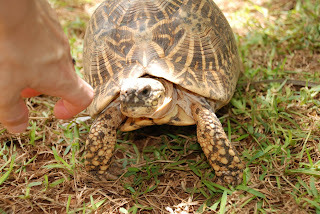 Prior to the VSPCA's inception in 1996, Sea Turtles and their eggs were openly traded on the streets of Visakhapatnam, India, despite strong national and international laws banning such activity. Pradeep Nath, the founder of VSPCA, used to enforce the laws himself by following such traders down the street, bringing them to police attention, and demanding arrests and prosecutions of the traders. In addition to seeing their numbers threatened by illegal poaching, the turtles were subjected to terrible cruelty by the traders. 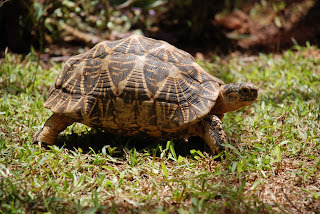 To kill the turtles, the traders would turn them upside down and slice open their bellies, an act that did not kill the animal immediately but rather allowed it to suffer very much alive. Alternatively, some of these sea creatures were placed over a fire until they could not breathe and had to stick their heads out for air. 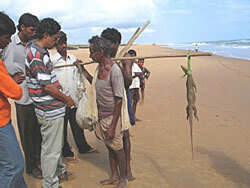 The poachers then chopped off the head. Finally, sometimes they were simply turned upside down and left in the hot sun. From this position these animals could not escape nor obtain water and it could take 3 days for death to occur. The VSPCA has assisted in preserving one of the ocean's great species and has virtually eliminated this terrible suffering in local areas. In Visakhapatnam today, you will not see any trade in Sea Turtles or their eggs. 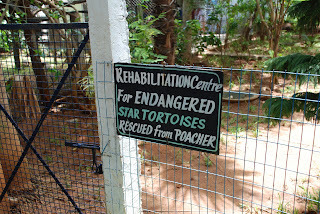 Obviously the VSPCA is not home to any Sea Turtles because these lovely creatures belong in the ocean. 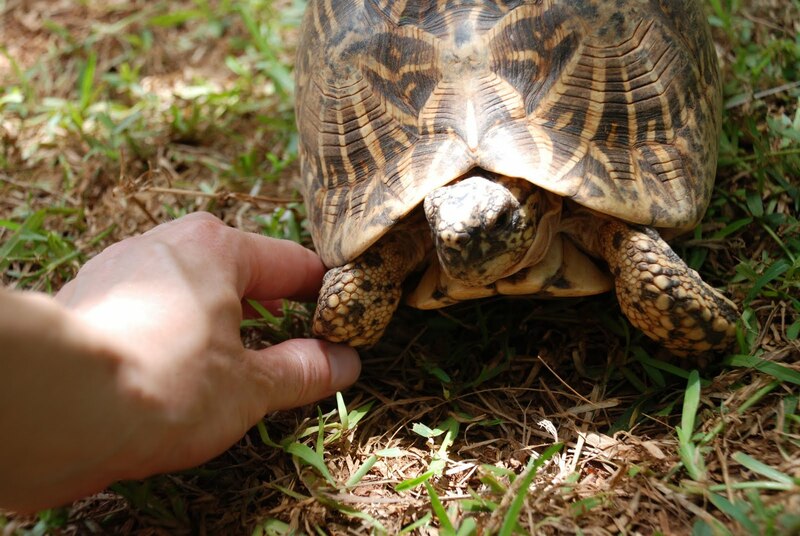 However, the shelter does provide happy sanctuary to many rescued Star Tortoises like this fellow! The tortoises have their own dedicated space at the shelter where they roam and play without fear. 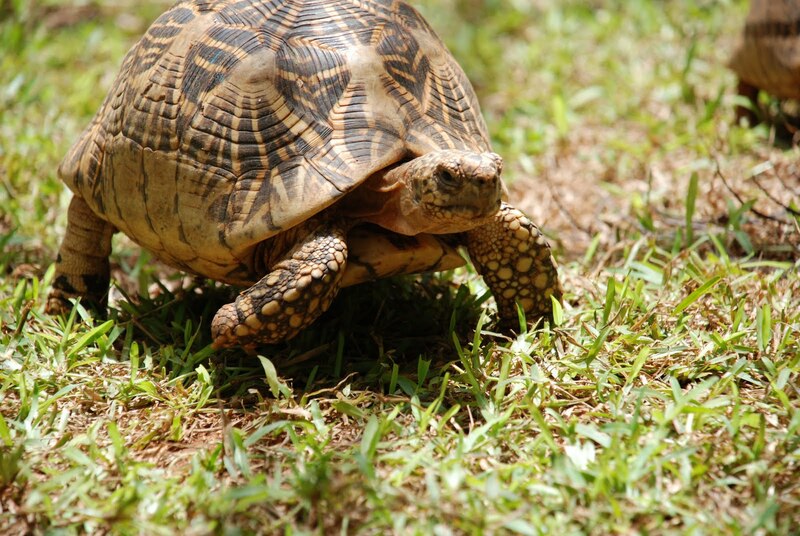 Star Tortoises have a lifespan of 40-50 years if left undisturbed. Like the Sea Turtle, the Star Tortoise is a highly protected endangered species. Star Tortoises are amphibians that live in rocky areas in the hills. 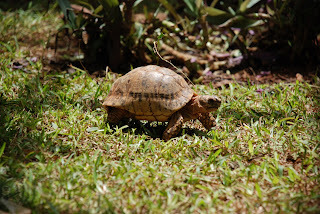 They come down from the hill to access water in a stream and this is often where they risk being captured by poachers. 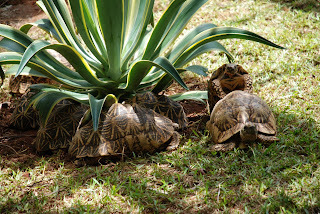 Because the Star Tortoise can go without food for 10-15 days, it is an easy target for the smugglers to trade out of India on the international black market. The Star Tortoise is one of the top 10 most endangered species in Asia. 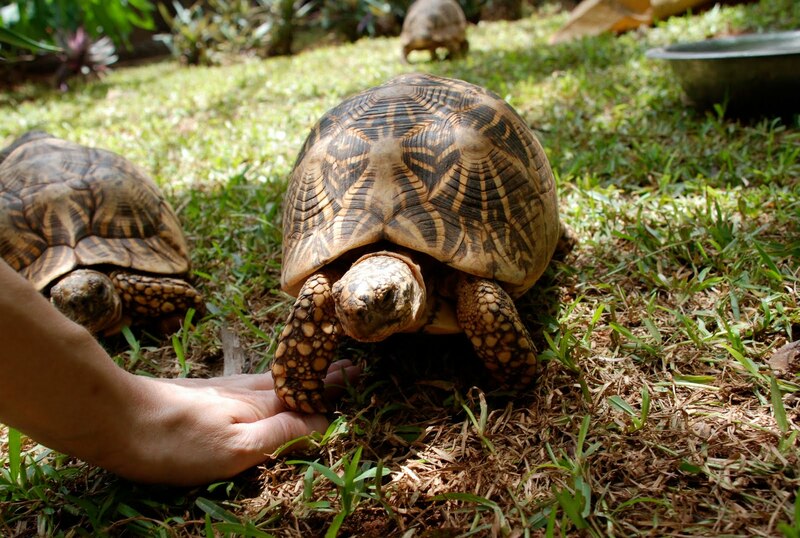 They are often illegally sold into China for use in medicinal remedies and as food for the dinner table. They are also sought as pets in several Western nations including the United States, despite international protection, and reach a black market price of $200US per animal. Star Tortoises are nearing extinction, which is why the preservation of Star Tortoises at VSPCA and elsewhere is critically important. Then decides I'm cool enough. 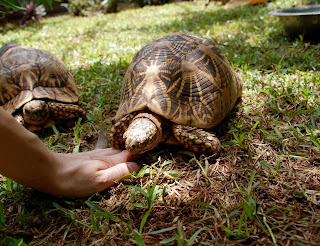 These creatures, like the turtles and tortoises, are endangered yet hunted. It India, they are so strictly protected that it is illegal just to be in possession of one. But before the VSPCA sought prosecutions for illegal possession and trade of these majestic animals, these laws went unenforced and traders could be seen walking openly down the city streets with these huge creatures slung over their shoulders in a bag. These animals, when provoked, will fight back. So the poachers would cruelly break the lizard's legs and also its tail, which would have been a good defensive tool for the lizard. 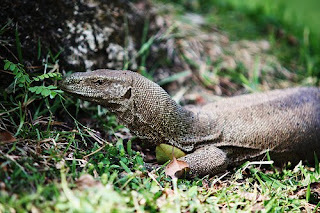 The Monitor Lizard also has a terrific set of teeth so the poachers would bang out its fangs. The Monitor Lizard is hunted for meat, and for the oils existing in the animals' skin which is believed to have medicinal qualities. The greatest work the VSPCA has accomplished for Monitor Lizards is to effectively shut down any market for their trade in the Visakhapatnam area, thus conserving this endangered species and preventing needless animal cruelty. A face to launch hearts?